Our family has been going through a trying time as a beloved sister is in the final stages of cancer. Like anyone else, I wonder why God sometimes heals immediately and completely and at other times does not. I know He can heal and I know He does heal and I know He wants to heal. So why is my sister-in-law dying? Sickness and death entered the world when Adam and Eve sinned. Our perfect bodies and our perfect environment began to die and decay. Everyone but Enoch and Elijah would die a physical death. They would be taken directly into God’s presence. While not as prominent as healing miracles in the New Testament, there were miracles of healing in the Old Testament. Elisha raised a child to life (2 Kings 4:35), healed Naaman of leprosy (2 Kings 5:10), and raised another man from the dead (2 Kings 13:21). Elijah healed Hezekiah (2 Kings 20:7). There are many more healings noted in the New Testament. So, God’s ability and willingness to heal isn’t really the question. It’s interesting to note two slightly different circumstances. In Mark, chapter 8, Jesus heals a blind man by spitting on his eyes (definitely not very politically correct for our day and age.) and laying His hands on him. However, the man was not completely healed. Things were still blurry to him. So Jesus touched him again and then he was completely healed. The other circumstance involved Paul’s thorn in the flesh. We don’t know what that thorn was, but Paul begged the Lord three times to remove it. Paul never struck me as the wimpy type. So for him to beg to take it away three different times seems to imply it was something major. God’s answer was not healing but, My grace is sufficient for you, for my power is made perfect in weakness (2 Cor. 12:9). So God does not always heal. If He did, no one who believes would ever die and that’s not going to happen until Jesus returns. And when He doesn’t heal sometimes it’s because we see men as trees walking and His intentions are blurry to us. Other times it’s just because He’s God and we’re not. My mind and imagination are far too limited to understand His great intents and purposes. 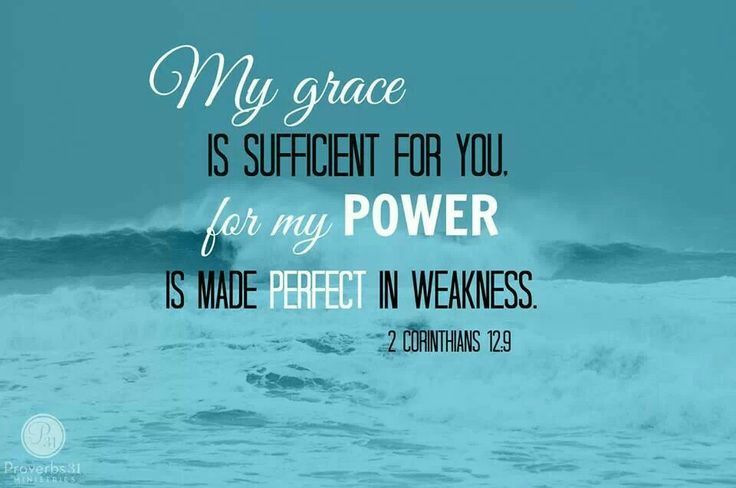 But His grace is sufficient and the weaker we are, the more His power is made perfect. Oh, Ken this is so good! God was speaking to me through this exact verse the other night. I have so much to learn as a devotional writer and I am so blessed to have you and Pastor J as great examples in which to learn from. Amen! Your insight in the midst of very difficult circumstances is inspirational Ken! We grieve with you for Ingrid. A word about our healing! Great wisdom and encouragement from a tight place…may God’s grace rest mightily upon you and your family at this time.